Here you can find some hints to rule Yimello. Could you sum up what is going on? Do I need an Internet connection when using Yimello? 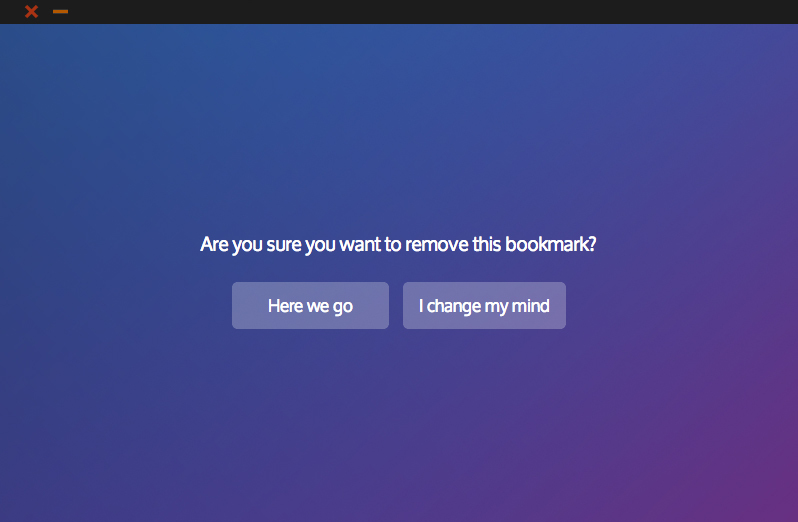 How can I import my existing bookmarks? Um! Cool programming stuff bro’. What about dev features? It is easy. Just copy/paste the application you downloaded where you wish. Nothing else. As simple as setting up. Just overwrite old version. Tip #1: Echap key is a shortcut to close any menus. For sure I could. 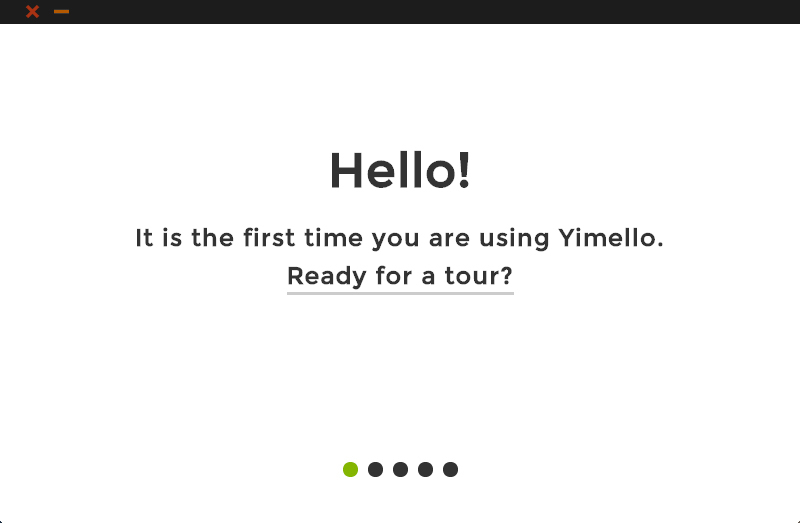 In Yimello, there are two things you manage: bookmarks and tags. For first ones, I assume I have nothing to tell more. For second ones, they are not folders but more similar to categories. 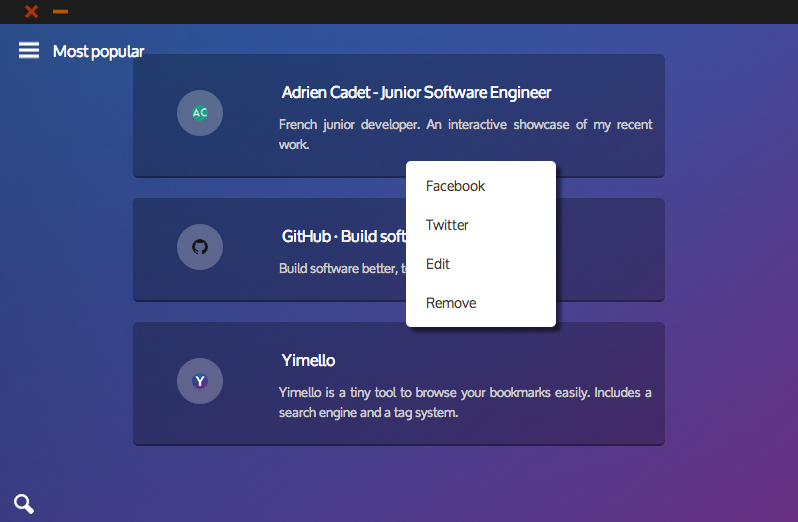 Actually, in Yimello, you can bind multiple tags to a single bookmark. Tip #2: Get a tour to quickly cut your teeth. No, you do not. However, some extra features will not be available when the fabulous Web is not reachable (such as favicons, auto data gathering etc.). Tip #3: Right click on a bookmark to do more. 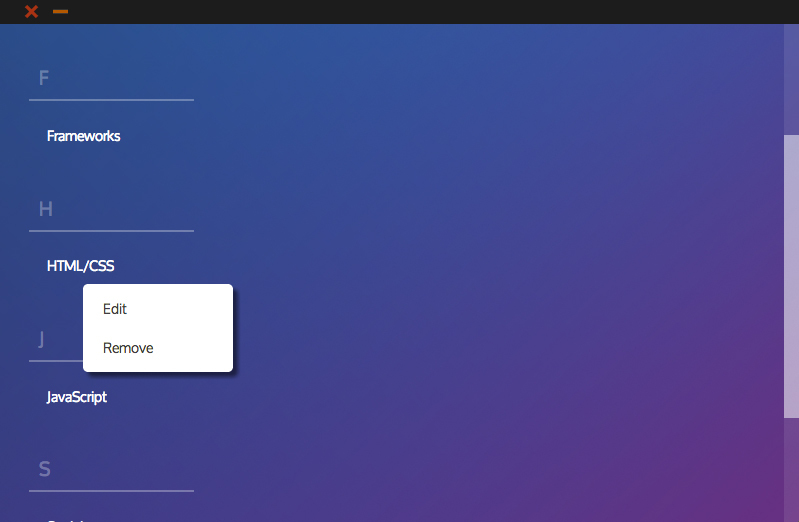 In your favourite browser, export bookmarks (cf. respective users guides to know the way) to a single file. Then, select import feature in Yimello. Simply drag your file over it. Tip #3 bis: Ditto for tags. Yimello is able to create a backup of all your data. 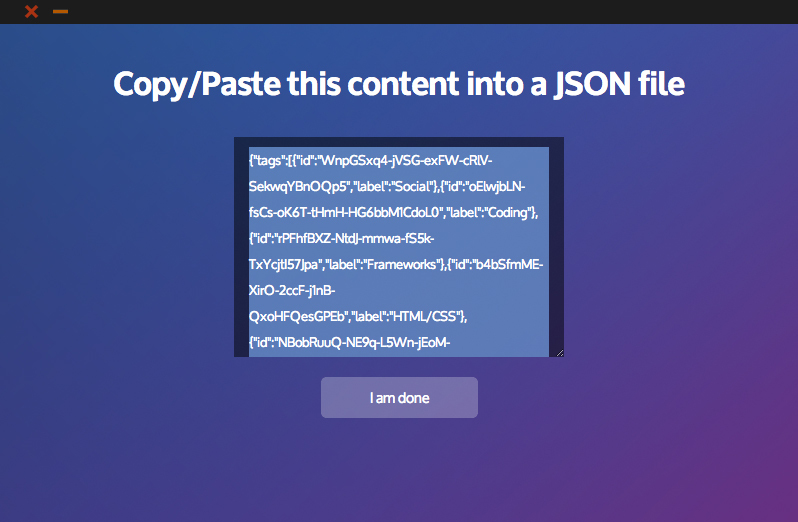 A single file is created, matching JSON format. Of course, it is able to import them again. You have better things to do than worrying about losing stuff. Tip #4: Mac users have an autobackup on start. File can be found in app folder. Take it easy! Please let me know on GitHub’s issue tracker what is going on. I will pleased to help you. I used only HTML5 and JS for this app. You can find source code in GitHub. If you want to know more about it, feel free to email me.